Browse aviation-supplies suppliers by country and region. Short on time? Let aviation-supplies sellers contact you. Blend crude gost 51 858-2002, , export blend crude gost 9965-76,, diesel d2 n gas oil l-0.2-62 gost 305-82, d6 virgin fuel oil, diesel, d2 automotive gas oil (ago), diesel gasoil ultra-low sulphur 50 ppm,, diesel gas oil ultra-low sulphur 50 ppm, diesel gasoil ultra-low sulphur 500 ppm, mazut m100 gost 10585/75, mazut m100 gost 10585/99, n aviation kerosene colonial grade 54 jet fuel,, jet fuel a1. 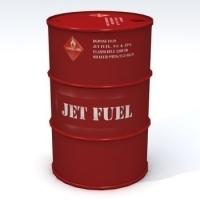 Jet Fuel ( Asian Market Only )/ FOB Spore/CI/DIP/MT 103 TT + COntract Basis Only. 1. Product in Singapore Tank/FOB ( Asia Market Only ). 2. Min Order 10000 MT 3. Payment SBLC/BG and Final MT 103 TT/Seller Issued 2% PB Upon Signing the SPA. 4. Dip Test Upon Signing Contract. We manufacture all kind of aviation lights-light, medium and high intenstity lights.We also specialise in solar aviation lights with inbuilt photoswitch, alarm panels everything. Sixthsense Business Consulting Pte Ltd.
Diesel d2 Gasoil L-0.2-62 GOST 305-82, Diesel D6 virgin low pour fuel oil diesel fuel, EN 590 (ULSD 10ppm), Diesel D2 Automotive Gas oil (AGO), JP 54 Aviation Kerosene Fuel, EURO 4, Jet Fuel A1..Dip and Pay, CIF, FOB, Tank to Tank Management Procedure consultancy for petroleum products. The tarmac air craft tiedown system (tacts) was designed to give the land-based end user an option to use a field maintainable, self-sealing, superior tiedown system for securing aircraft. Existing systems are outdated and lend themselves to numerous and sometimes costly problems such as tripping and particle hazards. Constant retention of water causes rust and concrete degradation. Concrete chips from damaged concrete being chipped away by the tie down deck fitting hooks are common. If large particles or chips are not removed prior to aircraft engine operation, this could be extremely dangerous and costly. Should the tie down dowel need replacing, the entire area around the anchor needs to be cut out, fresh concrete poured, tested, and certified. The platform air craft tiedown system (pacts) was designed to give the marine / offshore end user an option to use a field maintainable, self-sealing, superior tiedown system for securing aircrafts. Existing systems lend themselves to numerous and sometimes costly problems such as tripping hazards and corrosion from water retention.